Who are the world’s most famous poets? When you are studying for the Edexcel English Literature A Level, you need to be fully briefed on the world’s most famous poets. Who are they? Well, it is open to debate, but here we take you through the top poets across time and space and why they are considered so great. William Butler Yeats characterises the lyrical beauty of the best of the Irish poets and is thought to be one of the greatest poets of the 20th Century no matter where in the world you look. The Lake Isle of Innisfree is characteristic of his style, but also a symbol of his love of his homeland. Innisfree is a small island in a lake in Sligo County. It is a place Yeats visited every year, taking a boat trip to the island. This poem seems a profoundly personal reflection by the poet; however, as with the greats he touched on the universal love of nature and the need for a sense of belonging. Dylan Thomas is about as Welsh as daffodils and sheep. His poem Do not go gently into that good night is probably one of the greatest works in his short 39 years on the planet. However, his play Under Milk Wood, written in verse, is a masterful and much-loved text too. Unfortunately for the world at large, Thomas developed a love of alcohol that far exceeded a human body’s ability to process. However, Dylan Thomas himself declared that all the best poets never make it to 40. Percy Shelley was married to Mary Shelley and had a close personal friendship with Lord Byron. This is a trio of literary greatness; it would have been good to accompany. Shelley, the man, is best known for anthology words such as Ode to the West Wind and The Masque of Anarchy. Although not an obvious choice amongst some literary giants, such as Shakespeare, Tennyson and Wordsworth, there is some more emotional and more universal in the works of Shelley, which spans the centuries with more passion. 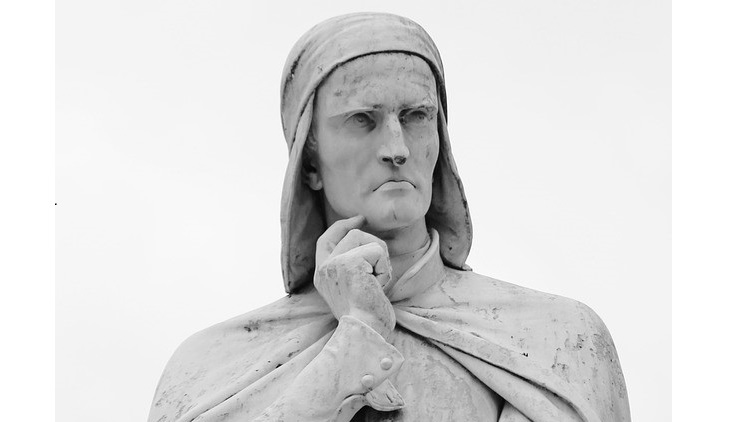 Dante di Alighiero degli Alighieri is more commonly known just as Dante. All the best people are only ever known by one name, look at Beyonce. Even though he lived between the years 1265 – 1321, Dante is still one of a handful of poets who defy time and are known from Italy. He is best known for his work Divine Comedy, which was conceived during his exile, forced by the Catholic Church. In this poem, Virgil travels through the realms of hell to make it to heaven. It is interesting that Dante himself felt that the most celebrated poets would spend eternity in Limbo as a restless soul. The line “his spirit, which had left us, remains” is adorned on the empty tomb where he should have been laid to rest. This may not be a suggestion that the man remains in a physical form, but instead, his work continues as a reflection of his spirit. It, of course, depends upon your beliefs when interpreting this line of poetry. Maya Angelou has to be one of the greatest poets of all time. As there has been a distinctly male theme to the poets so far, it is also important to recognise the voice of a woman. Maya Angelou rose to fame with her autobiography I know why the caged bird sings. This recounts her life as a young black woman in America, with some reflection on her roots in a population that was not long freed from slavery. However, it is the poem Still I rise that has made her iconic in the lives of those who love poetry. The affirmation of survival over struggle has become something of an anthem to many. Even Lewis Hamilton has the words Still I Rise tattooed across his back. To declare some poetic great is easy enough. However, to proclaim a poet the best in a category is always open to debate and to challenge. As with all art, poetry is a matter of taste, emotion, as well as an exercise in taste. If you do not like the choices here, learn more about literature and develop your expertise on what it means to be the best.